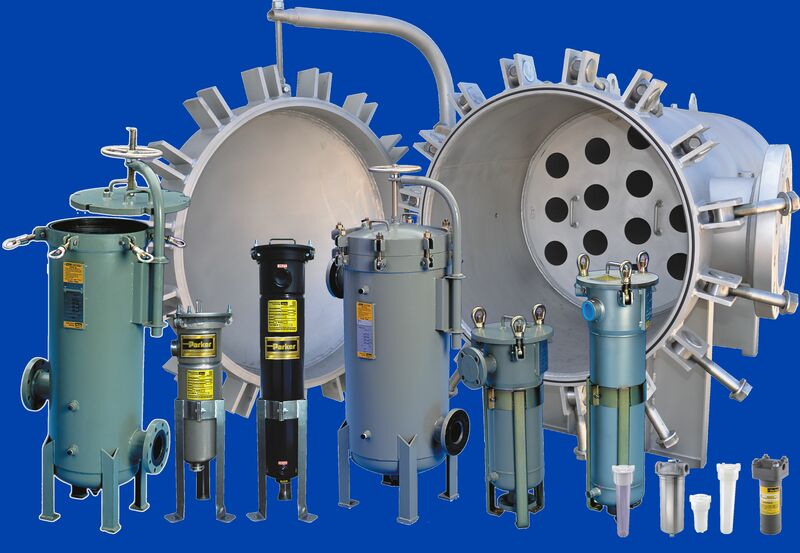 Finite coalescing filters, particulate filters and adsorption filters for pressures up to 6000 psi. ASME Code filter vessels in carbon steel, stainless steel, plastics and special materials for all liquid and gas applications. Beta rated pleated filter elements in polypropylene, Teflon, polysulfone, nylon & cellulose for hydraulic, pharmaceutical, electronics, photo processing, food preparation, waste water remediation and other industrial liquid and gas applications. Replacements for U.S. Filter, Filterite, Cuno, Pall, Millipore, Hytrex, Refilco, Nowata, Schroeder, Bowser-Briggs, Nugent, G.E. and others.